Vidyabharati College of Pharmacy is located on its own land with its infrastructure at the centre of Amravati . 2 Kms from Amravati New Railway Station and 10 Kms from Badnera Railway Station & 1 Km. from Bus Stand. Amravati has significance in the history of Amba nagari most popular Amba temple situated in Amravati. A beautiful campus of the Institute is sprawled in an area of 2.5 acres in picturesque surroundings providing a refreshing environment, stimulating intellectual alertness and creativity. The Campus has facilities for Canteen, Mess Hostel, Playground Indoor games & Gymnasium. The campus provides an ambience that motivates students to grow. The institute building has modern amenities with enough space and replenished with modernity and grandeur. The post graduate laboratories are independently developed for M. Pharm. and Ph. D. students. A part from this the campus has sports facilities and the over all ambience is distinguishable by serenity, which is conductive for intellectual pursuits. Playgrounds for Cricket, badminton, Volleyball and other games are maintained on the campus, Indoor games facilities have also been created. The Class rooms are spacious, ventilated and equipped with multimedia and audiovisual equipments to facilitate effective learning. The class rooms are designed to provide maximum interaction between faculty and students. Computing facilities for students include a laboratory equipped with 64 computers to the Windows XP server and Local Area Network and Wifi facilities. Optical Fiber Cabel installed in the institution tremendous speed of Internet 10 mbps plan VPN Network . The network also connects the faculty and staff for information sharing and communication. The students have an easy access to the Internet. 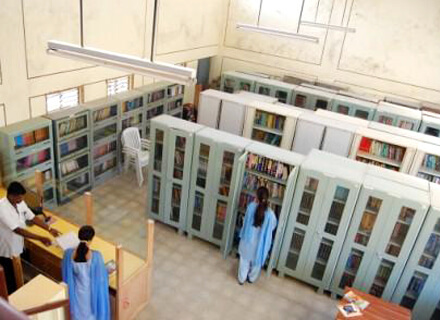 The faculties are also provided computer and internet facilities. Total No. of Computers - 48 Total No. of Internet Pronet WiFi Access Card - 25 Internet Boradband Connection (BSNL) - 10mbps . The Institute has eight post graduate and twelve undergraduate laboratories. The laboratories are designed and equipped with several state of the art technologies, which are the settings for instructing in the evolving needs of the pharmacy profession i.e. pharmaceutical and health care industry. The laboratories are spacious and ventilated, having adequate space for students to carry out experimental work smoothly. The laboratories are well equipped with various sophisticated instruments / machines required for imparting knowledge to the students. 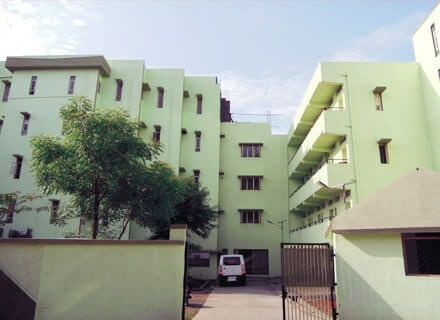 The Institute houses modern analytical instruments like HPTLC, HPLC, FTIR, Florescence Spectrophotometer, GC, UV-VIS Spectrophotometer, Atomic Absorption Spectroscopy, which provide analysis comprising elemental composition, chromatography, diffraction, particle/material characteristics including various spectroscopes. The laboratory provides analytical support and intellectual input to both in-house and externally founded R& D projects. A Medicinal Plants garden has been developed in the campus. More than 96 Genus of various medicinal plants have already been plated. The Medicinal plants garden provides a strong impetus for herbal drug research and for training the P.G. and U.G. students. The Institute has developed well equipped Pilot Plant for formulation, design and development of dosage formulation. 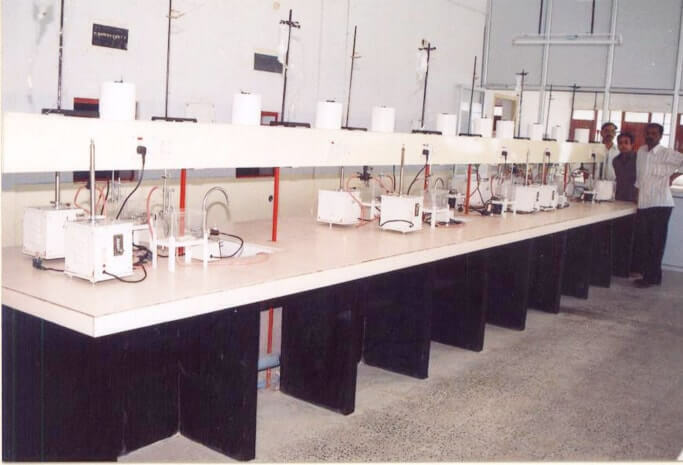 It is equipped with various sophisticated machineries required for imparting knowledge to the students regarding various formulations, processing and testing equipments used in the manufacturing of pharmaceutical dosage forms like tablet, capsules, liquids, semisolids, parenterals and novel drug delivery systems. Rotary tablet machine, fluidized bed dryer, automatic coats, spray dryer, freeze dryer, automated dissolution apparatus, different mixers, automated ampoule filling and sealing machine, digital tablet tester and and RIS Rheometer are the Vital instruments in the pilot plant. A separate Q.C. cell for quality assessment of products is also present. The pilot plant provides facilities to carryout extensive research and consultancy for pharmaceutical industries. At VBCP, its is a belief to facilitate production and dissemination of knowledge, information, insight & intellect in all scientific communities. The library plays a vital role in the collection, development and dissemination of scientific and technical information to meet the present and future academic and research needs of varied users. Presently the library at Institute houses more than 7344 volumes and 1472 titles of books, chemical abstracts and indices selectively chosen for reading and reference, 103 project reports (B. Pharm.) 75 Research Projects (M. Pharm. ), 05 Ph.D. Thesis and subscribes about 21 printed national, 11 international periodicals, 23 E-journals and 14 news papers & 08 Magazines for competitive exam. We have facility for indoor games such as chess, carrom, Table Tennis, shuttle, badminton and outdoor facilities for football, hockey, kabaadi, volleyball, and cricket & basket ball. 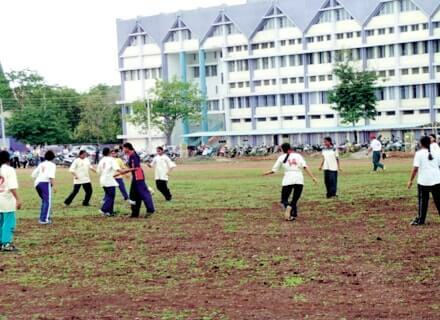 The college has separate ground for all these outdoor games. Yoga Camp for Boys and Girls are also organized in our campus. Sports help in building the values of leadership and team spirit among the students. It also inculcates the habit of winning in the students which is very important in today’s competitive world. Sports week is organized by the College in second term of every academic year, which helps the students for their inclusive development. Our college students represent university level in various sports events. At VBCP, its is a belief to facilitate production and dissemination of knowledge, information, insight & intellect in all scientific communities. There are well equipped international standard Gyms separately for men / women students and staff in an area of 3000 sq.ft with the latest equipment in the well laid out in in-door Gym units. In order to encourage the Weight lifters, Body builders and Fitness seekers, Physical activity is good for your mental health. Experts believe that exercise releases chemicals in your brain that make you feel good. Regular exercise can also boost your self-esteem and help you concentrate, sleep, look and feel better. At VBCP, its is a belief to facilitate production and dissemination of knowledge, information, insight & intellect in all scientific communities. 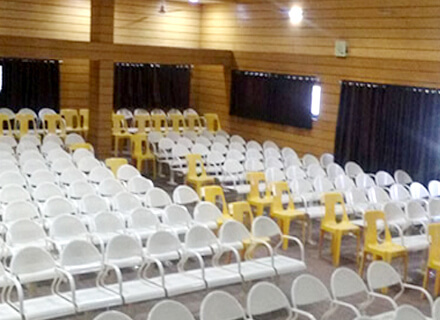 Well Furnished Auditorium having a Capacity of 350 students for conducting Seminar, workshops,Annual Gathering,Teachers day Celebration & Various Students Activities. VBCP has state of the art animal house facility registered by CPCSEA, Government of India. It is envisaged to provide preclinical testing in conformity with national and international regulatory guidelines. The animal house facilitates the availability of healthy and homogeneous animals for U.G. and P.G. studies and for research /outsourced testing. Rat Room Mice Room, Rabbit Run Way, Guinea Pig Room, Experimental Room, Nursing & Breeding Room, Office, Washing Area. 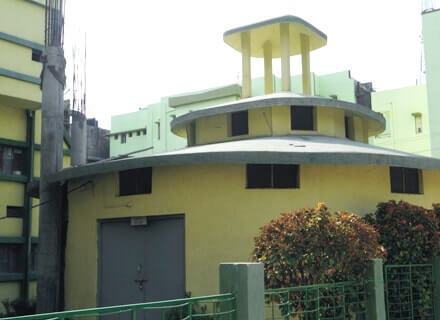 At VBCP, The college is having fully furnished separate hostels for girls. The Girls Hostel can accommodate 250 students. Hostels is facilitated with well-equipped Gyms to provide the students an opportunity to keep themselves physically fit. A Special mess complex with a Bio-gas Plant for cooking purposes and a plinth area of 5000 sqm is available to accommodate dining halls for girls, staff and guests separately. Government Certified. 24hrs Reverse Osmosis plant water supply to the hostel, mess and the entire campus.